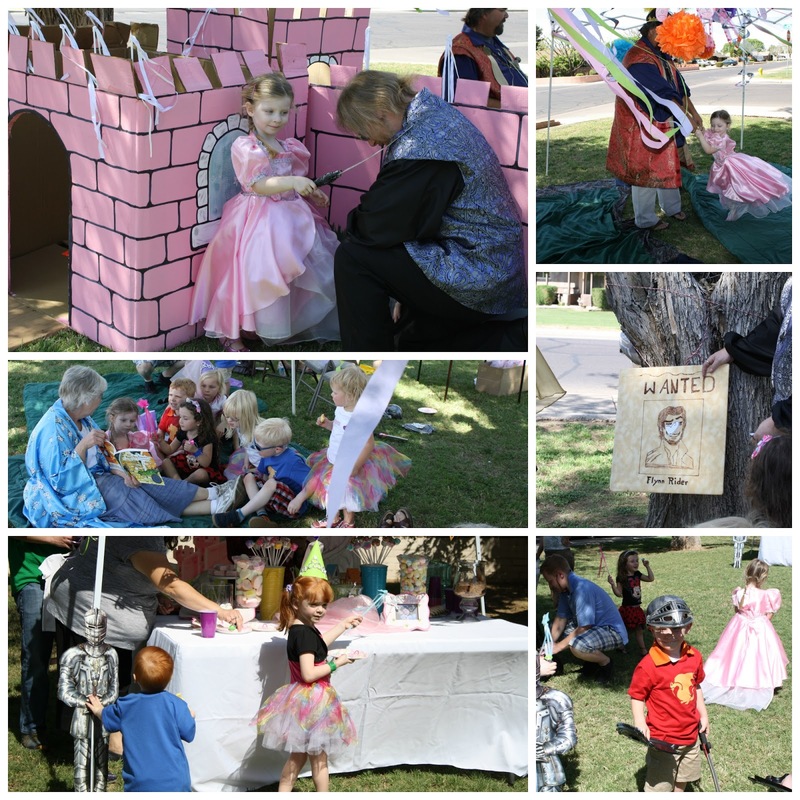 All the Princesses and Knights of the realm attended the 4th birthday of Princess Maggie today. I think we can safely say this was the most involved party thus far, mainly because of the costumes my mom made (it is not a trend I plan to continue). 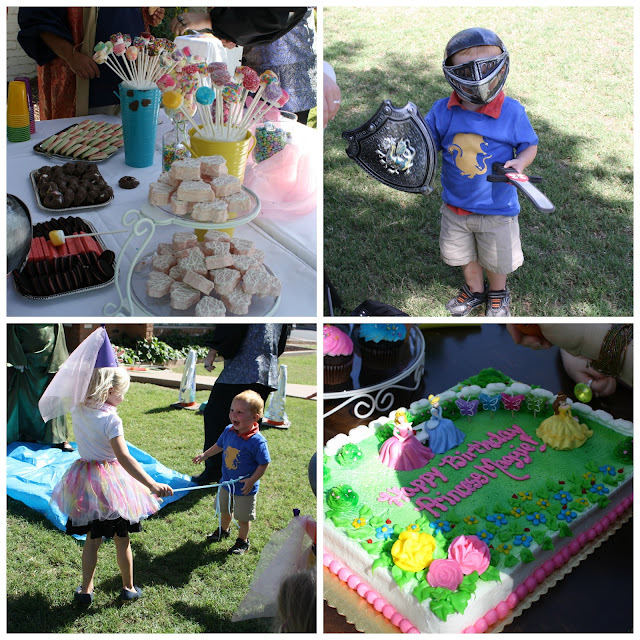 Maggie began 'casting' her party months ago, and manged to get pretty much all of us into a costume of some sort. She drew her party inspiration from The Sword in the Stone, as well as from her favorite princess stories. For the record, Maggie chose the color of her castle - Nana and I were planning to go more traditional in our interpretation, but the girl wanted a pink castle, and it was her birthday, so a pink castle she got. I think it's safe to say that's the last cardboard castle Nana and I plan to build. Ever.